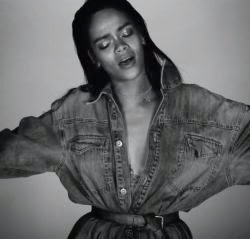 The DJ Mustard released via SoundCloud the remix version of Rihanna’s new single, "FourFiveSeconds". The original song brings collaborations with Kanye West and Paul McCartney and is the first taste of what fans can look forward to the eighth studio album by Barbadian, still no release date set. On Tuesday (3), the star released the music video of the song and confirmed that she will make the first live performance of the song at the Grammys in 2015, which takes place this Sunday (8).